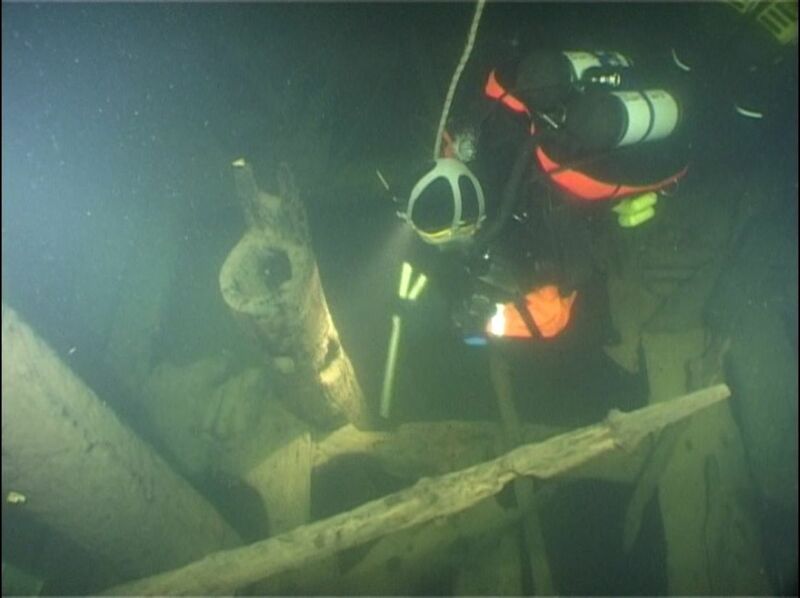 The wooden wreck looked like a warship but was too small, and was discovered to have been going the wrong way. 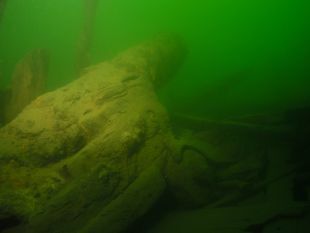 Diving archaeologists and digging in an archive have solved a mystery bedeviling Swedish academics for a decade: the identity of a very strange ship on the seabed of the Stockholm archipelago. 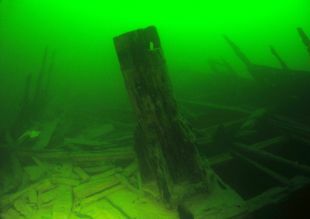 Undisturbed in the cold, murky waters of the Baltic Sea for 350 years, the sunken wreck was discovered in 2003 at a depth of 30 meters. But its identity remained elusive until this year, not least because of argument over an anomaly: it looked like a warship, but was too small. Who would put to sea in a thing like that, why, and when? The Stockholm archipelago is a cluster of over 30,000 isles in the Baltic Sea, some proper islands, some mere rocks jutting from the sea. The vessel was found north of Dalarö, an island on the outskirts of the cluster, more usually known for its luxury summer homes. 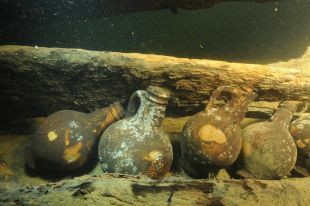 Underwater exploration by diving archaeologists began four years later, in 2007, and continues to this day. From the first dive, the archaeologists were baffled. The ship was small like a merchant boat. But it had features typical of the large Scandinavian man-of-war ships. Warships used during Sweden's wars with Denmark and Norway bore royal symbols such as the orb and scepter, and typically had two full gun-decks, outfitted with heavy guns. This wreck fell short of such accoutrements. 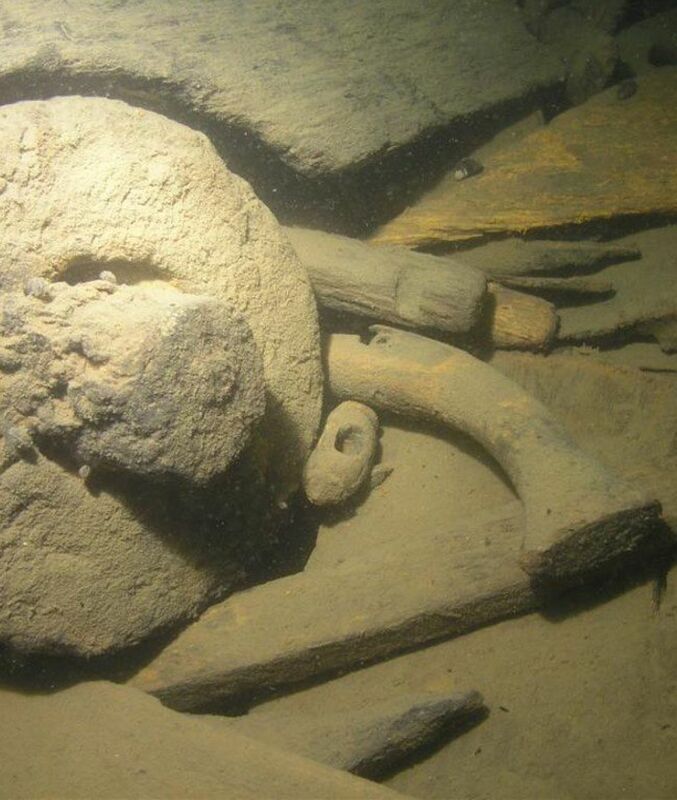 However: “It had gun ports along the sides, and had a beakhead with a large carved lion figure head," Dr. Niklas Eriksson of Stockholm University who identified the ship, told Haaretz. "The silhouette of the ship was similar to the larger warships from the time, which clearly distinguished Bodekull from the contemporary merchant vessels." 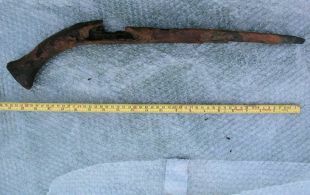 Besides the regular equipment, marine archaeologists found several flint muskets, a dozen empty glass bottles, pottery, tools, shoes, cannons, and artillery equipment, as well as a sword. “You get the impression that the ship is complete. It's just the crew that vanished,” Eriksson says. With its coherent hull, intact deck and two masts still standing, the wreck is one of the best-preserved 17th century ships in the world. Yet ultimately, identifying it took digging mainly at the Swedish Military Archives. The Bodekull was indeed a unique ship. No wonder the divers were confused. The story of how its foundering made the official records is almost as strange. She was named after the harbor city where she was built, Karlshamn – to be clear, it had been named "Bodekull" until 1664. 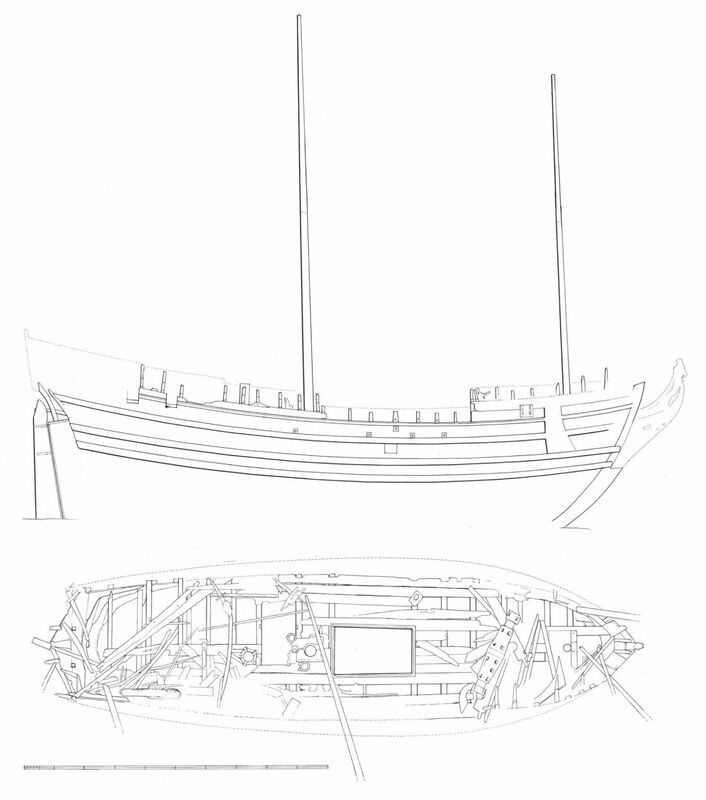 She was used to transport arms and provision to the Swedish army during the Scanian wars (1675- 1679). Her loss of course was known. 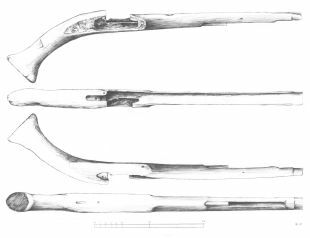 But the 19th century military historian Axel Settersten had assumed that the Bodekull had sunk well north of Dalarö. Now study of preserved minutes and letters of the Swedish Admiralty, kept in the Military Archives, have outed a secret. “Zettersten assumed that Bodekull was heading for Stockholm. But rereading the original documents showed that it was actually heading south, towards Kalmar," says Eriksson, referring to a Baltic port in southeast Sweden. There could be good reason the good ship Bodekull foundered in the cold waters: sheer incompetence. It's a postulation, but a reasonable one. During the 17th century, the Nordic neighbors Denmark-Norway and Sweden fought a series of bloody battles on land and sea. Few of the battles were decisive, which led to reprisals. The ships' commanders were drawn from the nobility, which among other things means they lacked naval experience. That often led to a series of spectacular disasters. Bodekull was one such. In the fall of 1678, the Swedish fleet sought winter quarters just north of Kalmar instead of returning to Stockholm, in order to take advantage of the earlier ice-break in the southern harbor. The Bodekull was sent to grind cereals at a mill along the coast, under the command of one Olof Styff. Who Styff was is unknown. He might have been a good sailor who just ran out of luck. Either way, ignoring his instructions, he sailed to Fagerholmen, an island in the Stockholm archipelago. On its way back, the ship hit a rock and sank, in the winter of 1678. Twenty barrels of water-soaked flour did nonetheless reach Stockholm. The story of Bodekull's foundering appears in documents recording extensive discussions within the Admiralty – not about avoiding underwater obstacles, but about how to make bread using seawater-soaked flour. Since the documents do not mention casualties, the ship probably sank slowly enough to save the crew and all that flour. But why had this diminutive warship been built in the first place? In 1659, King Karl X Gustav ordered a number of small vessels to move horses and soldiers in his war against Denmark. When the king unexpectedly died, the campaign against Denmark evaporated and the unfinished ships ordered before his death were repurposed, in various ways. One was Bodekull, which was rebuilt under the supervision of the newly recruited English Master Shipwright Thomas Day between 1659 and 1661. 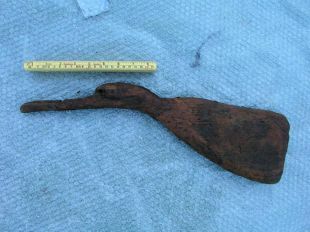 Its unique details, which are also visible on the wreck, are mentioned in the preserved correspondence between the shipyard and the Swedish Admiralty. And now we know where she is.